While many traditional brick-and-mortar stores are falling by the wayside, due in large part to the boom in online shopping, web giant Amazon is contemplating opening thousands of cashier-less stores in the coming years. Reports emerged earlier this week that Amazon is planning to open as many as 3,000 cashier-less Amazon Go stores by 2021, following a cautious initial rollout of the product, with just three stores in Seattle and one in Chicago. Amazon launched its first Amazon Go store this week, a checkout-free grocery store that opened its flagship store in Seattle earlier this year after experimenting with physical retail locations for several years. According to Amazon, the company “created the world’s most advanced shopping technology so you never have to wait in line.” The inaugural store was 1,800-square feet and in Amazon's main headquarters. “Our checkout-free shopping experience is made possible by the same types of technologies used in self-driving cars: computer vision, sensor fusion, and deep learning,” Amazon stated when announcing the store. 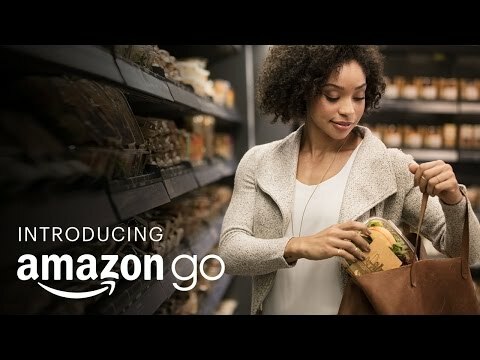 A Bloomberg report said that Amazon CEO Jeff Bezos foresees the Go stores taking on a number of different configurations, including locations for freshly made packaged meals and others designed more like 7-Eleven stores with limited grocery selections and pre-made food options.